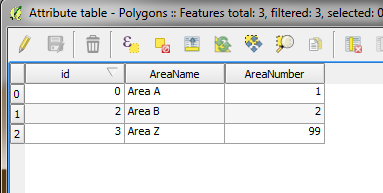 Is there a way to select an attribute from a polygon layer and insert the value into a virtual field of a point layer using "within" in the field calculator? Out of the box, field calculator does not support spatial joins across feature layers. 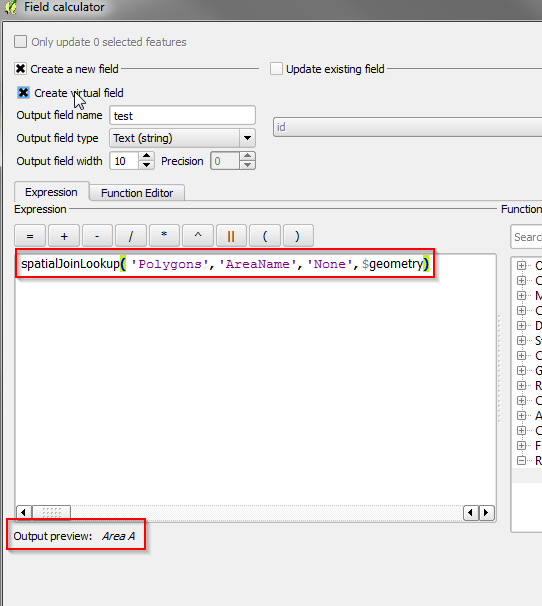 But, if you have a look at NathanW's post on the function editor for qgis expressions you will be able to make out that we can script our own data interaction. break # Only get the first match. Below is an example of a polygon layer that you might have. 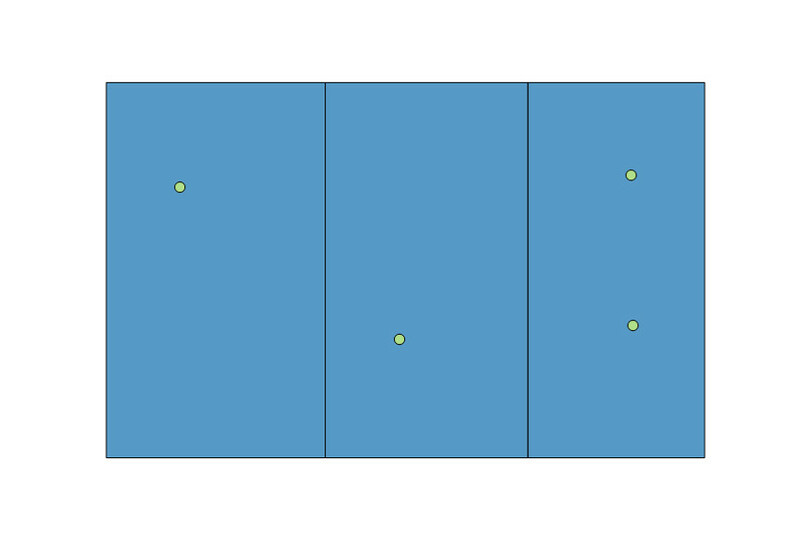 I've also created a corresponding point layer that you will see in the final image. Note, if you want to use a separate column you must change the second argument to match the column name in the polygon dataset. Example, you could use the 'AreaNumber' column, but would have to match the column type in the field calculator settings. You can see that the default column value has been applied where there is no spatial join, and the other's have matched the correct data. Note the script I've given will only join on the first match. You would need to create some other business logic if your polygons were overlapping. Spatial joins are available in the field calculator after installing the refFunctions plugin. 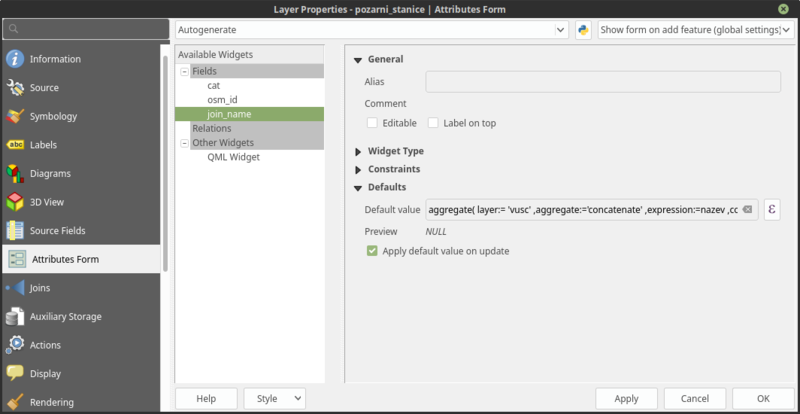 Where layer is polygon layer name written like string, aggreagate is aggregate function (can be used also sum etc. ), expression is field from values will be taken,concatenator is joining character string (have to be set, even in this case) and filter is filtering features based on expression (in this case interesects layer geometry with geometry of parent layer). For automatic updates can be used virtual fields or you can set the expression as Default value in Attributes Form settings in Layer Properties (Attribute form setting documentation). Not the answer you're looking for? Browse other questions tagged qgis field-calculator layers within or ask your own question. How to fill column with several conditions using QGIS field calculator? How to make a virtual field function use the same Ellipsoid settings as the normal field calculator?